Meeting place: Hunters meet north of Ann Arbor at US-23 and North Territorial Road (exit #49). Motorhome: After meeting, the hunters transfer their gear to the HayDays motorhome. Hunters will then travel in the motorhome to the field or pond of the hunt. 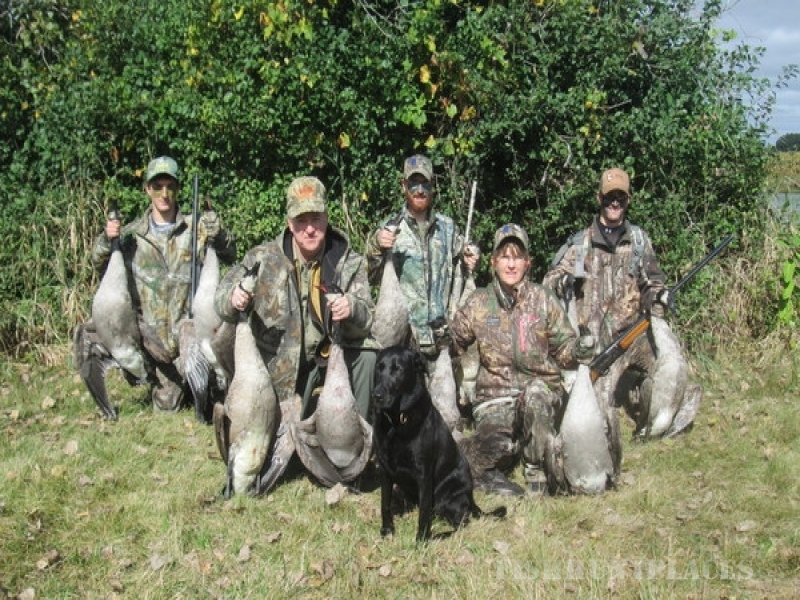 Guide: The hunting guides will set decoys and call the birds. Their labradors will make the retrieves. In the blind: In the blind, hunters are offered hot coffee, hot chocolate, cold pop, cold water, plus sandwiches (Subway). Trip home: After the hunt, beverages and elk jerky will be served in the motorhome as the hunters return to their cars. Times: Morning or evening hunts are available for individuals or groups.